You’ll always receive a warm welcome at our London store. We draw on a wealth of design knowledge to ensure you have bespoke glasses that complement your personality, fashion or film project. Whatever you need them for, our custom glasses will deliver beyond expectations. We are spectacle historians, with a passion for all aspects of historical and vintage eyewear. As well as being one of London’s leading experts in custom glasses, we also have a great passion for collecting vintage pieces – particularly styles from the 1920’s to the 1980’s – and have examples that date back to the 18th century. Our Soho location is highly convenient for artists, media companies and anyone who would like a consultation. We’ll happily come to you if you can’t come to us and you can be sure we’ll always provide the advice and support you need. When it comes to bespoke glasses, whatever you want, we can do it. Our master frame-maker will create your unique frames to your exact requirements. We can custom copy a broken or tired existing frame, make a frame to your exact size, or design a completely unique style for you from scratch. 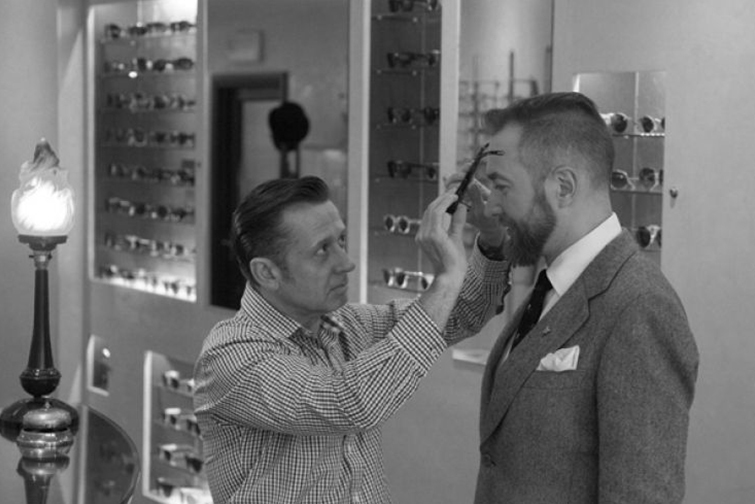 Our bespoke eyewear services are among the most comprehensive in London.